England are into the top five of the FIFA world rankings, where Belgium have edged ahead of world champions France at the summit. 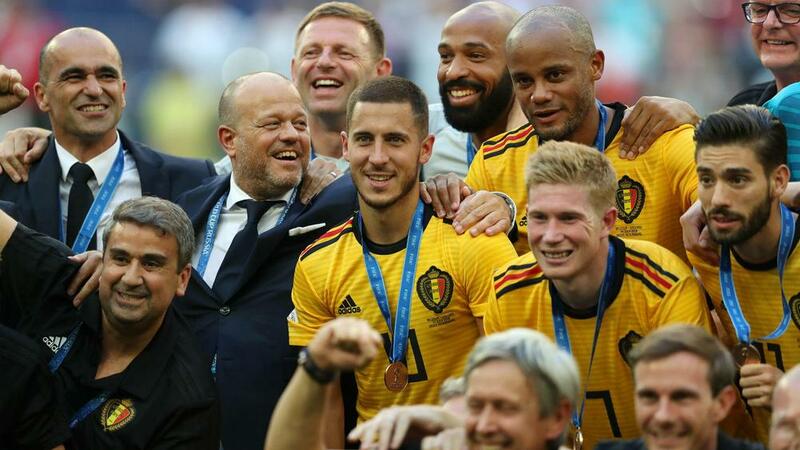 Belgium have edged ahead of world champions France at the top of FIFA's world rankings. Roberto Martinez's side were beaten 1-0 by Didier Deschamps men in the semi-finals of the 2018 World Cup but pulled alongside them as the joint-top ranked team according to world football's governing body last month. France drew 2-2 with Iceland in a friendly and beat Germany 2-1 – matching Belgium's return from the October international break but against opponents ranked lower by FIFA. England are up to fifth after their impressive 3-2 win against Spain, who remain ninth, while Netherlands' 3-0 victory over Germany lifted them two places to 15th.